Like many casino / gaming sites before them Nordic Gaming have decided to delve into the world of Online Bingo and they have gone with (Playtech) the name behind Virtue Fusion bingo software. According to a press release Nordic will be Playtech’s second largest Scandinavian bingo licensee, although this will not be the first time that Nordic Gaming have used the virtue fusion software product, as they already fun successful casino, sportsbook and poker sites on it, so online bingo is just the latest online gaming product to be added. Virtue Fusion are one of the biggest names within the online bingo industry as they already boast clients such as Mecca Bingo, Ladbrokes Bingo, Crown Bingo, Virgin Bingo and Bet365 Bingo to name just a few. The great thing about a bingo operator using virtue fusion based software is that they can either got for the networked version or standalone platform (or even a mixture of both). 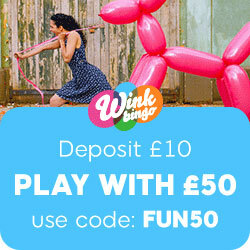 Mecca Bingo run on the standalone platform of virtue fusion, but still link up with other virtue sites to bring their member the daily bingo linx games to play. But Bet365 Bingo for instance has both networked bingo rooms and standalone bingo rooms at their site (a mixture of both). Globalcom bingo software is currently the biggest rival to virtue fusion, but in the unlike virtue, operators who choose this platform either have to go with the standalone or networked version, and they cannot have a mixture of both. It does have to be said that the UK online bingo market place is in our opinion currently overrun with online bingo sites running on both globalcom bingo software and virtue fusion bingo software………so if would be really nice to see some new (online bingo software blood) put in an appearance for a change and not the same thing, time and time again. This entry was posted in Bingo News and tagged Nordic Gaming on January 31, 2011 by Emma.